A traveler has spotted what appears to be Apple's unreleased AirPower Qi charging pad -- but the device is clearly a knock-off, despite claims to the contrary. Together the iPhone 8 and iPhone 8 Plus amounted to 44 percent of U.S. iPhone sales in the March quarter, and even individually beat out the iPhone X -- but Apple's historical performance versus what the survey company has said in the past about sales casts a pallor on the data. Following word that Apple's recent iOS 11.3 update killed touch functionality for iPhone 8 users with aftermarket displays, a new report claims that a similar issue is also affecting iPhone 8 and iPhone X users with authentic replacement screens if they're put in by an unofficial repair outfit -- but as with a previous issue, the problem doesn't seem to be universal. Some iPhone 8 owners got a rude awakening when the latest iOS software update killed their devices repaired with aftermarket screens installed by third parties, but it isn't clear how wide spread the problem is. As planned, Apple on Tuesday opened up online orders for the (PRODUCT)RED versions of the iPhone 8 and 8 Plus, as well as its iPhone X Leather Folio. 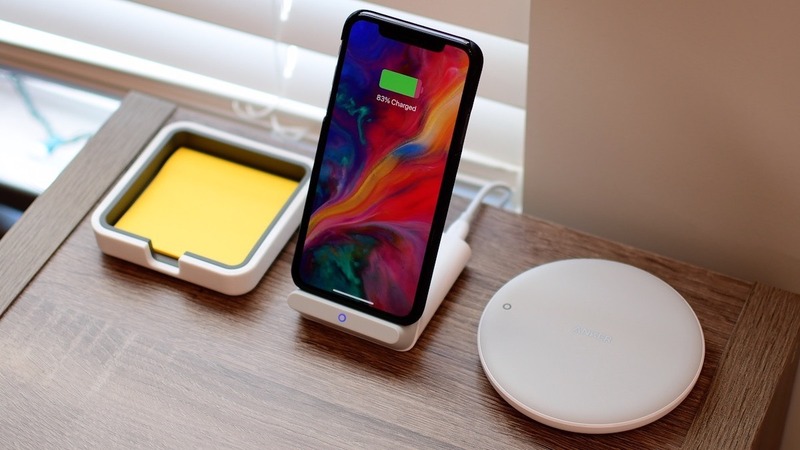 CordDock by ElevationLab tries to solve one of the biggest headaches of iPhone docks; the inability to charge when you lift your phone from its perch.